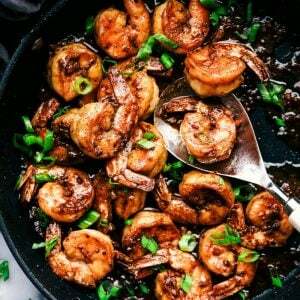 Cajun Garlic Butter Shrimp is made in the most amazing cajun garlic butter sauce. This is ready in 15 minutes and a meal that will wow the family! 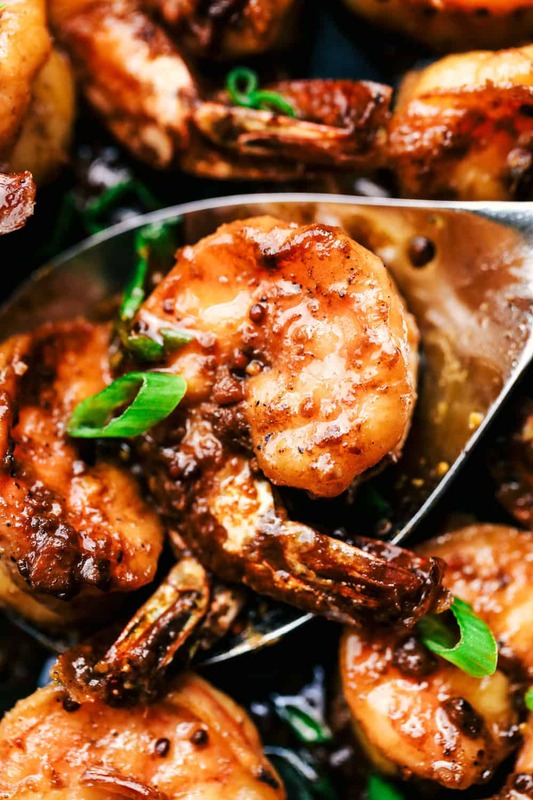 If you are looking for some more amazing shrimp recipes, be sure to try: Creamy Tuscan Garlic Shrimp , Cajun Shrimp and Sausage Vegetable Skillet, or Sticky Honey Garlic Butter Shrimp. I am a firm believer that if you hate a certain type of food, you can slowly but surely start to like it. Take me for example. I despised all fish and seafood growing up. When I had my first son, I realized that I had to start putting seafood apart of my diet and that my metabolism with each kid was decreasing. The donuts were now sticking to the thighs. ha! So I started to eat salmon. I slowly started to eat salmon that was smothered in some sort of delicious sauce. And guess what? Salmon is now my favorite to choose at a restaurant. 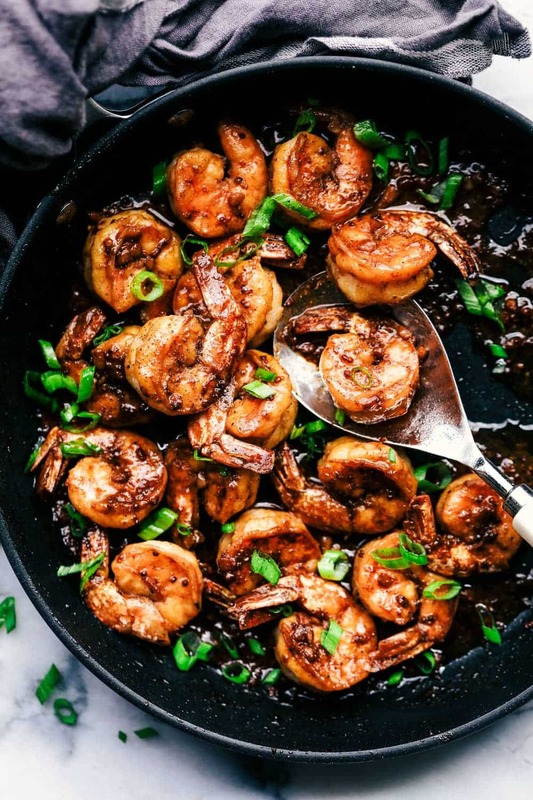 How do you make cajun garlic butter shrimp? To start, whisk together your sauce. Add the soy sauce, brown sugar, olive oil, mustard and garlic. In a medium-sized skillet over medium high heat add the butter. Add the sauce and whisk and let reduce until the butter is melted about 2 minutes. Salt and pepper the shrimp and add to the sauce. Toss and cook in the sauce until the shrimp is opaque. How long do I cook shrimp in the skillet? Cook the shrimp stirring frequently, until they turn totally pink and opaque. This will usually take 4-5 minutes. What sides should I serve with shrimp? We served this shrimp over rice with broccoli. To start, whisk together your sauce. Add the soy sauce, brown sugar, olive oil, mustard, cajun seasoning, and garlic. Salt and pepper the shrimp and add to the sauce. Toss and cook in the sauce 4-5 minutes until the shrimp is opaque. I mean this is a lovely recipe and it looks delicious but it is in NO WAY “Cajun”. Just adding “Cajun seasoning” to something does not make it a Cajun recipe. Certainly nothing with soy sauce in it is Cajun. Cajun is a specific thing … a specific cuisine borne of a specific group of people who were exiled from their country and settled in Louisiana. The history of Acadiana and the exiled Cajuns is deeply rooted in their food and culture. It’s not just anything with a branded seasoning mix in it. Oh for Pete’s sake….. really? Kara, Don’t you have better things to do? Be kind, go find your recipies somewhere else if all you have is criticism! It’s delicious, just enjoy it! Kara, I agree with you! I am a born/raised/current resident of New Orleans, and it bugs me what the rest of the world calls ‘Cajun’ or “Creole’! First of all, soy sauce is not either! (lol) It’s probably a nice recipe, just change the name because it is not accurate. ha, me too about most fish, don’t even like how the word sounds! But do like shrimp and lobster, so appreciate you overcoming your aversion to it for this recipe! 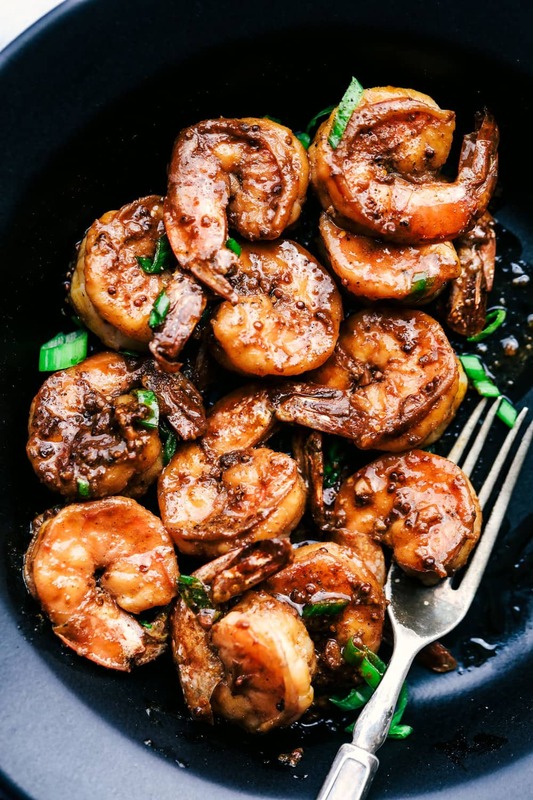 what is the nutrition information for the Cajun Butter Garlic Shrimp? It would really be helpful if that info was shared with each recipe. Thank you. The butter is melted and added to the sauce.